Dead Rising 4 was in playable form at Nerd HQ during San Diego Comic-Con, and it was an absolute blast to play despite it lasting only five minutes. 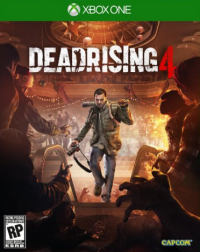 Announced this past E3 with a holiday-themed trailer, Dead Rising 4 is another entry in Capcom’s popular zombie-abusing action game. Perhaps no zombie player in gaming is as loved as the original Dead Rising‘s Frank West, and he makes his long-awaited return in Dead Rising 4. Those who have played any other Dead Rising game know what to expect: it’s all about smashing your way through hoards of zombies while accomplishing different goals. The demo build of the game featured at SDCC put Frank in the outskirts of downtown, excessively infested with zombies. We had access to weapons like an electric axe, as while as projectiles like a machine gun that can only be handled with two hands. Almost anything is a weapon, as one sequence that required us to rid a room of zombies allowed us to beat the crap out of them using a lunch box, which was as awesome as it gets. One notable addition is the use of exo-suits that pretty much turn Frank into an absolute machine. Not only does it make him more powerful, but it also gives him the ability to tote heavier items in order to wreak more havoc on his undead enemies. 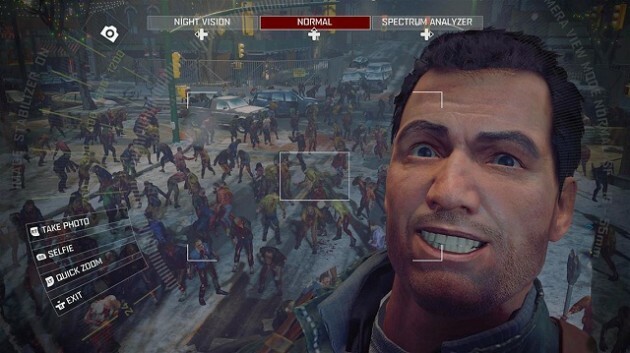 Of course, Frank West is still a journalist by trade, so you still have the ability to take pictures and selfies for more points. The demo’s five minutes allowed us to get reaquainted with Frank and Dead Rising with hack-and-slack-or-shoot combat, saving innocent bystanders on top of buses, while clearing whole buildings from them. While the time limit was a bit too tight for me to finish the demo, it was also cool of Microsoft to provide us with a prize for surpassing 400 zombie kills. Dead Rising 4 comes out at the end of the year, and we should have a review up shortly after its release. For this and more from San Diego Comic-Con, stay tuned to SmashPad..